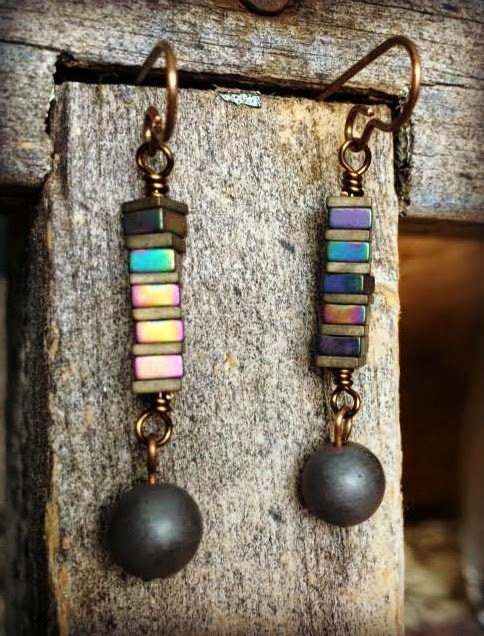 These rectangular tube beads are my favorite! 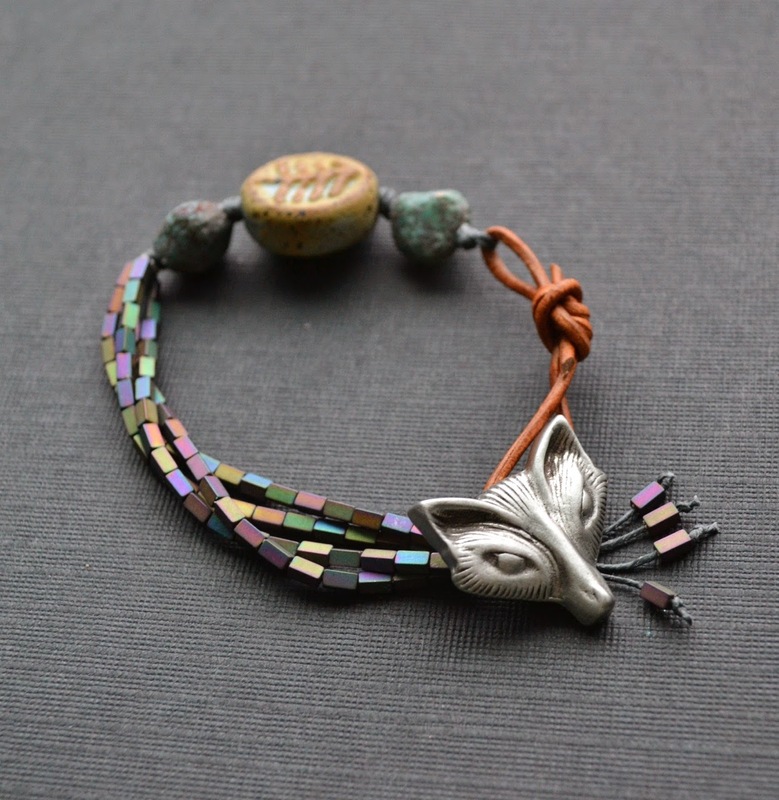 This foxy bracelet was a favorite. I have had many requests for more of these, so in the next few days, I will be making about 3 more, and will announce on Facebook when they'll be listed. It's first come first served so be on the look out for my announcement! 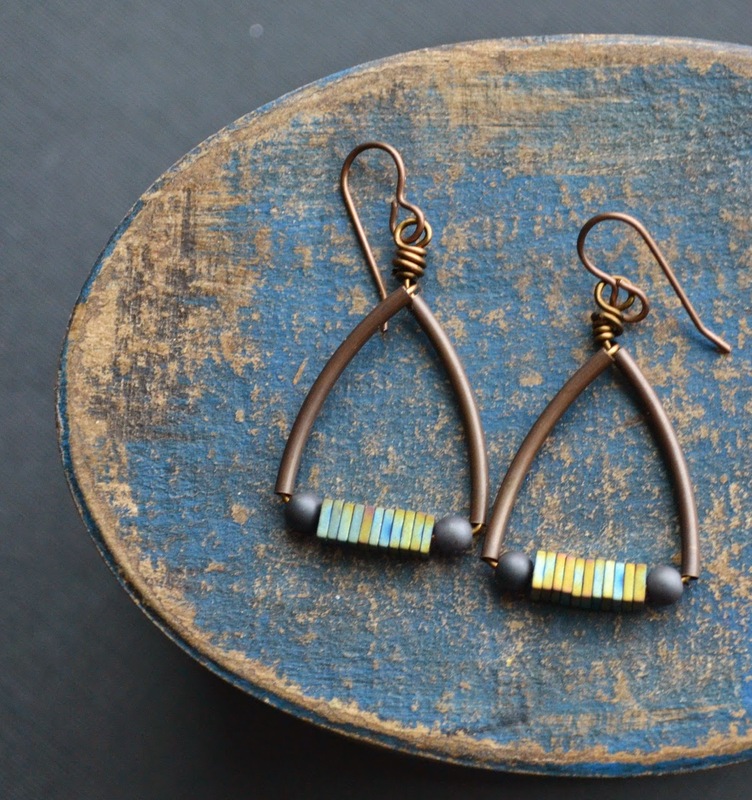 The beads on this, the focal beads, will vary slightly in each piece. As will the leather. no two exactly alike! Will there be any more earrings like the top set? 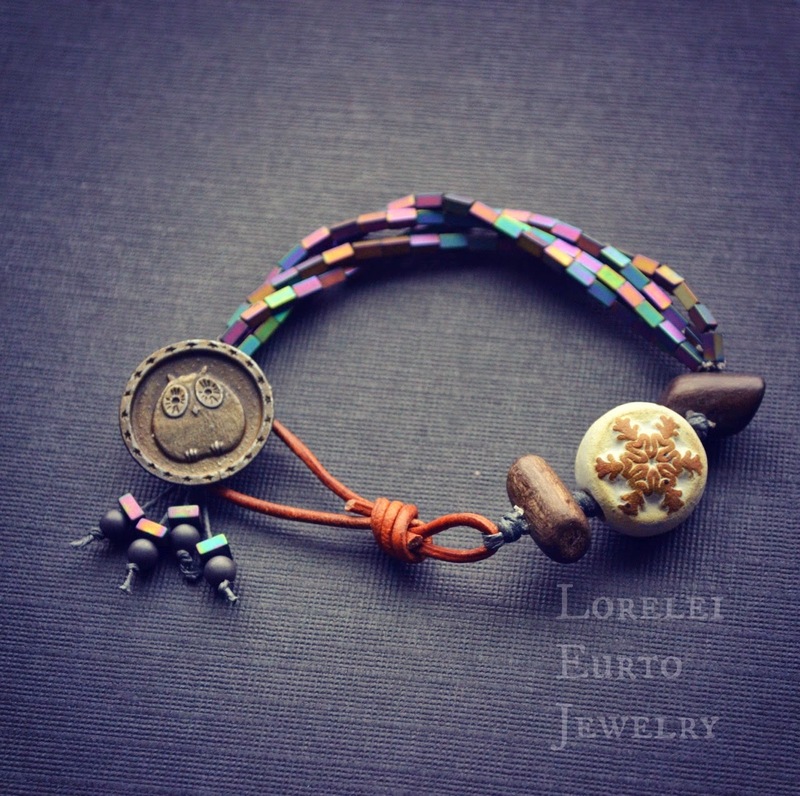 And what are those nuggets next to the ceramic bead in the foxy bracelet? The nuggets in that foxy bracelet are czech glass. What great colors! I love all the pieces you made. I know what you mean, i picked up some of them when i got my beads for the micheals challenge and currently have them on my work bench as well, im really into that metallic wash right now, i went to shipwreck last night just to get more beads to go with them lol the designs your making withthem are georgouse, wish i had your talent with earings yours are always so unique and cool! 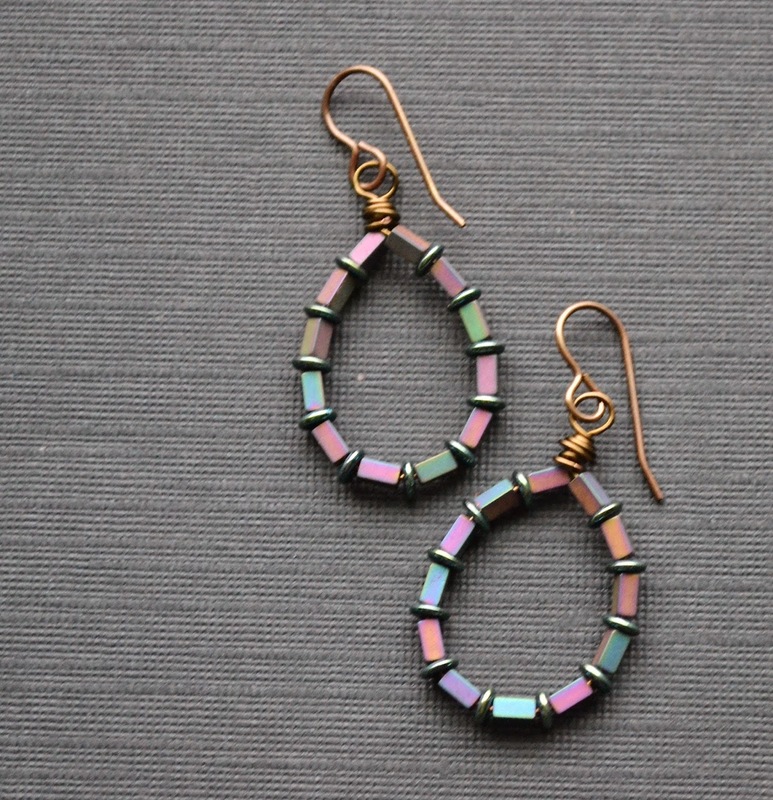 Love the coated hematite beads also. Where did you get them? Thanks. All the pieces are lovely. But yes, the fox bracelet is great.